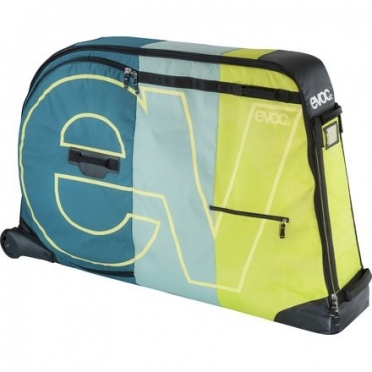 Evoc Bike travel bag macaskill: Danny MacAskill is constantly on the road, and never without his bike. His new travel buddy is the casual style bike sports bag for train travel, bike shipping or flying. Pack your bike in only a few minutes – just remove the handlebar, pedals and wheels. 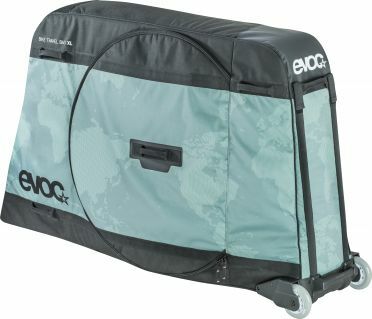 The Evoc Bike travel bag macaskill is the perfect mobile alternative to any bike box with maximum protection for bike frame, wheels and other components. 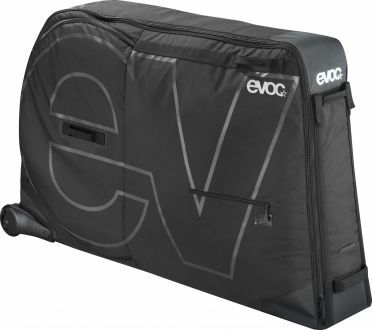 For many years the Evoc Bike travel bag black is Evoc's approved solution for transporting almost any type of bike. 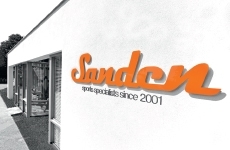 As a hybrid construction it combines the advantages of a hard shell case with the properties of a soft bag. The award-winning bike travel bag has been tested extensively. You can pack and store any type of bike securely within minutes – ready for travelling. 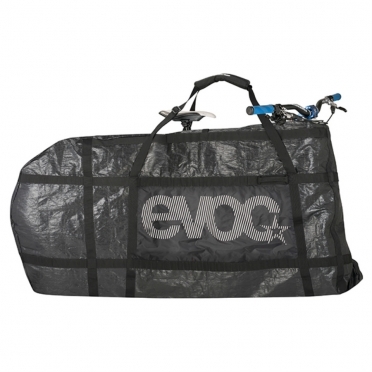 This makes our bike bag the mobile alternative to any bike box - with maximum protection for bike frame, wheels and other components. 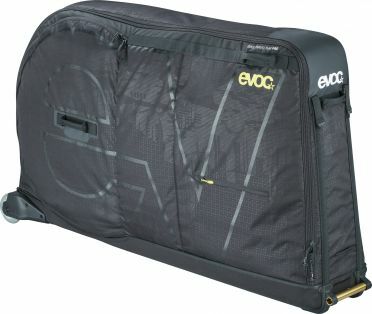 It is is the perfect transport case, wether for bike shipping, flying with a plane, going on other cycling trips. 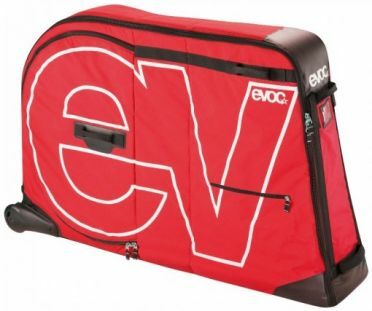 For many years the Evoc Bike travel bag red is Evoc's approved solution for transporting almost any type of bike. As a hybrid construction it combines the advantages of a hard shell case with the properties of a soft bag. The award-winning bike travel bag has been tested extensively. You can pack and store any type of bike securely within minutes – ready for travelling. This makes our bike bag the mobile alternative to any bike box - with maximum protection for bike frame, wheels and other components. It is is the perfect transport case, wether for bike shipping, flying with a plane, going on other cycling trips. 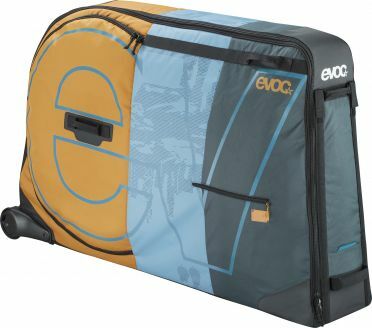 For many years the Evoc Bike travel bag multicolour is Evoc's approved solution for transporting almost any type of bike. 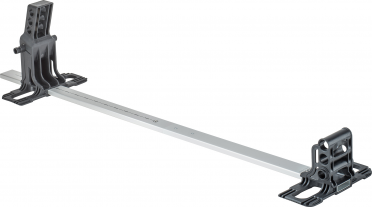 As a hybrid construction it combines the advantages of a hard shell case with the properties of a soft bag. The award-winning bike travel bag has been tested extensively. You can pack and store any type of bike securely within minutes – ready for travelling. 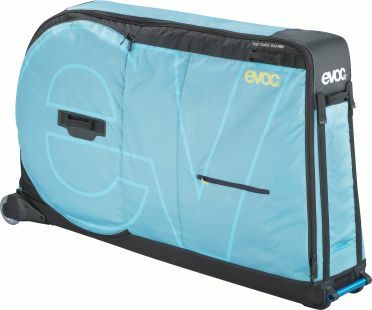 This makes our bike bag the mobile alternative to any bike box - with maximum protection for bike frame, wheels and other components. It is is the perfect transport case, wether for bike shipping, flying with a plane, going on other cycling trips. 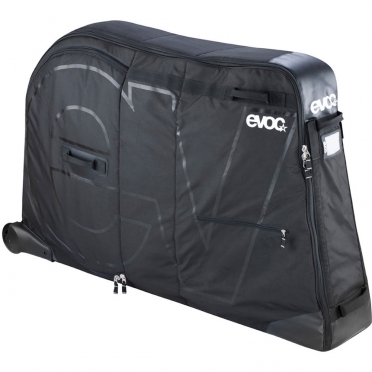 The Evoc Bike cover black is the number one transport bag for your bike. 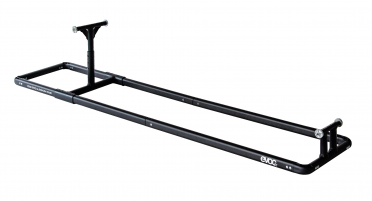 It’s multifunctional and foldable, and protects your bicycle as well as the surrounding area from the dirt marks of your last tour. The fight against dirt is on: the multifunctional, collapsible anti-dirt carrying and storage bike cover for all types of bikes is perfect for the car, a train ride, a night in a hotel room and wherever else it's best that the dirt remains on the bike. 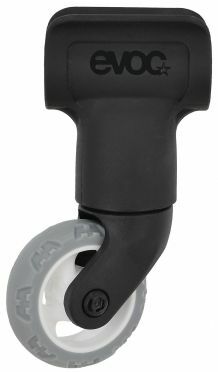 Necessary Evoc Adapter black for packing of roadbikes into Bike travel bag. 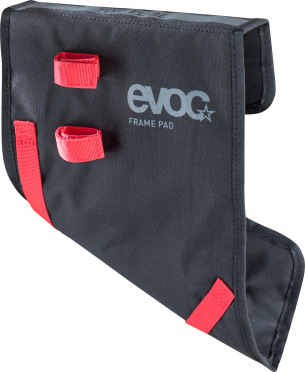 Protection Evoc Frame pad black to prevent frame from transport damages. 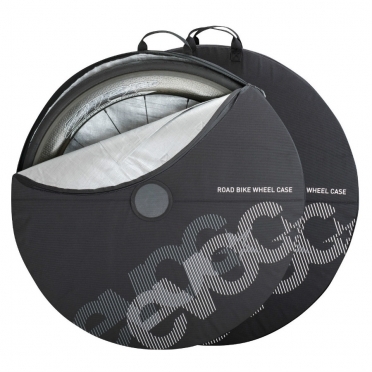 These cases for racing bike wheels are an all-round success: They fit perfectly into the wheel compartments of our BIKE TRAVEL BAGS. Never before have racing bike wheels been packed so securely and with so much style.